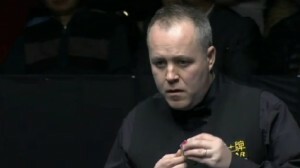 Resuming with a narrow 5-4 lead after the opening nine frames, John Higgins made a strong start to the evening session with breaks of 129 and 88 enough to punish errors from David Gilbert. After Gilbert was able to claim a more scrappy 12th frame it appeared as though he might be able to close the gap to just one frame again at the interval, but a missed red would ultimately open the door for his opponent to make the sort of clearance that he has made his trademark, another 88 enough to see him move 8-5 ahead. Gilbert never gave up, but the way that Higgins had played throughout the tournament, he never looked like faltering and would go on to close out the match with further runs of 52 and 56. 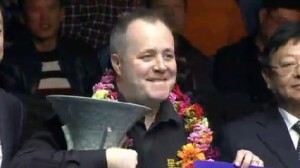 The title represents Higgins’ third full-ranking victory of 2015 and underlines an impressive return to form after his barren run throughout much of 2013 and 2014. As I often say whenever people ask me about the four-time world champion, you can simply never write him off and certainly this week he looked to be playing as well as he ever has. At the Welsh Open and Australian Goldfields Open events that he won earlier in the year, it could be argued that he did not have to beat the world’s very best but nobody can level that accusation against him this week, with dominant performances against the likes of Mark Selby, Shaun Murphy and Joe Perry on his way to the title. The outrageous pink that he potted against Joe Perry at the quarter-final stage effectively encapsulated his form this week in a single shot and though easy to say with hindsight, from an early stage in Daqing he never really looked like losing, certainly since recovering from 3-1 down to Michael Holt. His biggest title since the 2011 World Championship, might he now go on to mount yet another challenge at the Crucible later this season? 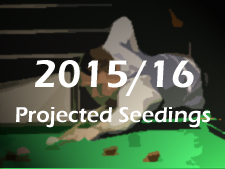 If he can play like he has this week then almost certainly, but there is a lot of snooker to be played between now and April. As for David Gilbert, no shame in losing to an opponent as experienced and playing as well as Higgins this week, it was always going to be a tough challenge as fellow first-time finalist Ben Woollaston found earlier this year in Cardiff. Having never previously been beyond the last 16 of a full-ranking event, Gilbert’s run sees him earn a career-best £65,000, as well as surge from 40th to 21st place in the world rankings. 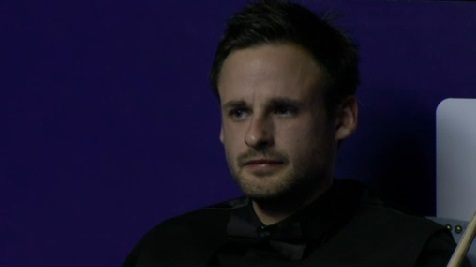 Looking as confident as he ever has and clearly enjoying the game with his new cue, hopefully he will be able to maintain the form that we have long expected to see from him and he can now push for a place in the world’s top 16 in the coming months. Looking back at the week, the event seems to have been a great success as a whole, with good crowds, some fantastic matches and perhaps most importantly, fantastic conditions which have clearly contributed to the standard of play that we have seen. 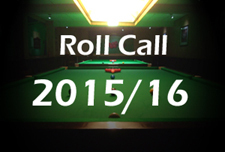 As well as players like David Gilbert and Thepchaiya Un-Nooh enjoying success, we also saw something of a return to form for Mark Selby and Neil Robertson, after both had previously had quiet starts to the new season. While neither player is yet at their best, they have each given themselves something to build on as we approach the Champion of Champions and UK Championship double header this month. Next up though, the return of the European Tour as the circuit returns to Sofia, Bulgaria next week. 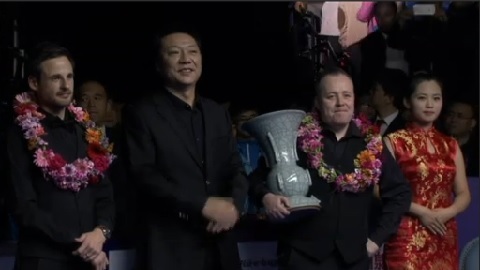 Remarkable that Higgins, like O’Sullivan, can still win titles in their 40s. Williams was no 1 only a few years ago and Stephen Lee was playing the snooker of his life before the ban. Just shows that the crop of players that turned pro in 1992 were the strongest ever. Can’t see too many of today’s top players still winning in 20 years.